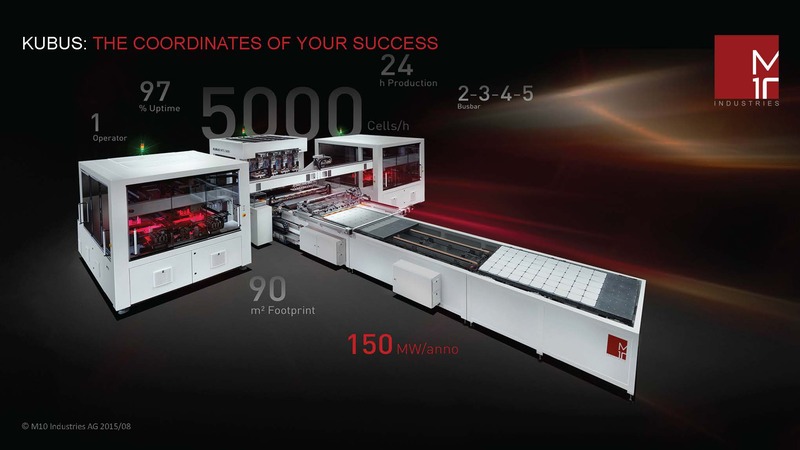 With 5,000 cells per hour, KUBUS has revolutionized soldering technology for crystalline solar cells. The innovative multi-stringer makes an important contribution to the future sustainability of your business – not only when it comes to increasing capacities. Expand your range of products through the production of 2, 3, 4 or 5 busbars – and remain free to choose your own raw materials and suppliers at the same time! By choosing KUBUS you are opting for pioneering technology that will provide your business with noticeable cost benefits: this highly productive system requires less space than less efficient multi-stringers and runs continuously as a one-man operation.